Liszt's dazzling Transcendental Etudes are a set of sublimely moving sound illustrations, as well as extremely difficult technical studies. They're some of the legendary virtuoso's most demanding music. They're designed to build performing skill and be engaging and enjoyable at the same time. Each has a unique sound and its own special challenges for the performer. I think that they're characteristically Liszt - excellent examples of how astoundingly technically good the composer was at playing. 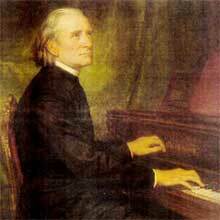 But we also see Liszt the sound poet, creating images with the piano. The Transcendental Etudes went through three stages, over 25 years of Liszt's life. I used to have a book with the sheet music of all three versions in, and it was interesting to see how they had evolved. Liszt wrote the first set when he was just 13 years old. These early attempts are not very interesting, since they imitate the bland technical etudes which were popular at the time. Still, you can definitely see the seeds of the final etudes, including the basic melodies and descriptive titles. 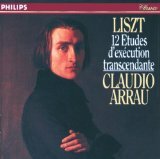 The second version is a revision of the original twelve etudes, which Liszt did in 1837. He was at the beginning of his virtuoso show days at this point, which is definitely reflected in what he transforms the etudes into. He went a bit overboard and elaborated the pieces into monstrously formidable sound poems. Robert Schumann said at the time that he thought only a handful of pianists in the entire world were good enough to perform this revised collection! The third and final version (1851) of the set is the one which brought about the Transcendental Etudes as they're known today. These are by far the most performed and recorded of all three versions. Liszt cut out a lot of the absurdly difficult bits, and made the Transcendental Etudes more musical and artistic (instead of crazy hand-breakers). The Etudes still challenge pianists in nearly every way imaginable. They have loads of different technical problems which are very hard to play at all, let alone musically! Liszt also indicates which fingers he wants pianists to use, which are of course awkward and make the pieces even more difficult to play! Molto Vivace (very lively). An agitated piece. Liszt didn't give it a descriptive title. Some people like to call it "Fireworks". Personally I think this piece falls a little short in comparison with the others in the set. 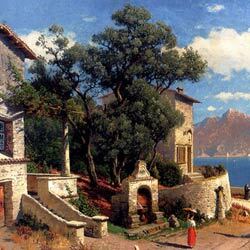 Paysage (Scenery). A peaceful, gentle illustration of a countryside scene. It's a sleepy piece with its own magic. Apparently Liszt was inspired by the hypnotically changing scenery he saw from the window on a train journey. Mazeppa. This loud, dramatic, and awe-inspiring piece depicts the plot of a Victor Hugo poem. In the story, the cossack Mazeppa is punished for having an affair with a noblewoman. He is tied naked to a wild horse which is set loose. Liszt's music imitates the crazy galloping of the horse, and Mazeppa's endurance and suffering. Feux Follets (Will o' the Wisp). A colorfully delicate yet extremely complex piece. It depicts the ghostly flickering lights which sometimes appear over swamps at twilight. Folklore attributes these strange lights to all sorts of fairies and air spirits, which Liszt illustrates with playfully. Vision. A dark and profound piece. 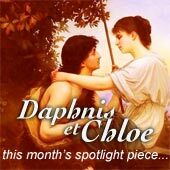 It has captivating shades and emotions, and a slow but powerfully thoughtful flow. The pianist and conductor Feruccio Busoni thought that it depicted French Emperor Napoleon's funeral. Eroica (Heroic). A grand and dramatic piece, full of noble feelings. Wilde Jagd (Wild Hunt). A fun and German-sounding piece, Wilde Jagd depicts the different parts of a hunt. The piece opens with the fury of the bloody-minded hunters, then moves through charming rustic horn calls and the furtive prey to a sublime variation of the original melody. An exciting scene! Ricordanza (Remembrance). A nostalgic epic, full of sweet memories and lush melodies. Liszt develops the themes and, since these are etudes after all, adds lots of difficult variations. Allegro Agitato Molto. A restless piece, the second one which Liszt didn't name. The music starts out very agitated but turns into a sweeping and vivid romantic melody. Harmonies du Soir (Evening Harmonies). This beautiful piece paints a picture of heavily fragrant gardens at night and strong feelings of love. Chasse-neige (Snowstorm). A stormy piece, depicting the icy wind and deep snow in a blizzard. 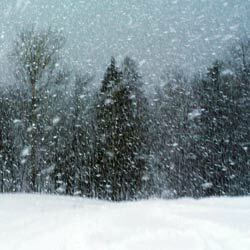 Liszt uses fast runs on the keyboard to illustrate the frenzy of the snowy storm. 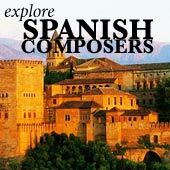 Claudio Arrau's recordings are considered extremely good. His interpretations are grand and colorful (and slightly slow), but deep and well-thought out. Probably his best recording of the etudes is from the 1970s, on the Polygram Records label. 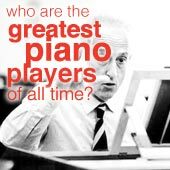 Other pianists which I think are worth mentioning include Lazar Berman (you can hear his playing up there), Leslie Howard, and Gyorgy Cziffra. Cziffra tends towards the absurdly fast, in-your-face style of piano showmanship in these pieces. Leslie Howard gives scholarly if somewhat dry performances. 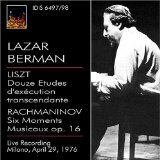 Lazar Berman is probably my favorite (along with Arrau) - he plays with calmness, and brings out each individual layer of the music with great skill. You might also be interested in Liszt's Hungarian Rhapsodies or the epic Sonata in B Minor.